Join us and our two guest speakers on September 25, from 10:30 – 2:30 at the newly renovated Cary Memorial Library in Lexington to learn about the dos and don’ts of winning ballot questions and running capital campaign fundraising from the experts. Jason Tait from the Massachusetts Office of Campaign and Political Finance (OCPF) will answer those sticky questions about what you legally can and cannot do in your get-out-the-vote town meeting and ballot question campaign. Adam Dawkins, Director of Stewardship, Trinity Church, Boston and former advisor to the Stoughton Public Library Capital Campaign will give tips on the ins-and-outs of running a successful one-time-only capital campaign. Feel free to attend one or both sessions and don’t miss seeing the newly renovated Cary Memorial Library. 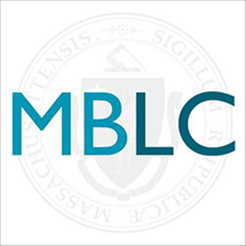 Register at http://mblc.libcal.com/event/3595380 by Friday, September 22. All are welcome, with Library directors and members of their trustees and building committees in the 2016-17 construction grant round especially encouraged to attend. Here’s how the day will stack up. *Here is your chance to see one of the most innovative public libraries in the state and an example of a flexible floorplan at work. Lexington’s Cary Memorial Library was expanded and renovated 2004. Then eleven years later, under the leadership Library Director Koren Stembridge, the library flexed it floorplan to meet the evolving needs and demands of its community by reconfiguring and upgrading of a goodly portion of its space. Today, a transformed Cary Memorial Library offers a one desk model for convenient circulation and information/reference service, an Idea Wall for interactive exhibits, four new study rooms for a total of seven, and the Cary Commons, a casual gathering space that doubles as a performance hall. Best of all, the Library features a vibrant new teen space with collaborative spaces, a technology area, generous casual seating, and more room for collections. It is worth the ride to the outskirts of Boston to see this library. Previous Previous post: Your Voice, Your Library!